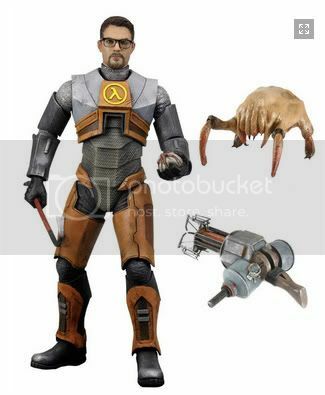 This Gordon Freeman action figure from the guys over at NECA is sure to invoke some serious gaming nostalgia for anyone who's played Half Life 2. If you're into action figure specifics, it's around 7" tall with 20 points of articulation, 2 sets of interchangeable hands, a crowbar, a bugbomb, a gravity gun and a headcrab figure to keep things interesting. If you're dying to get your hands on this figure and pair it with your Barbie collection than you'd just have to wait until September. Oh, and we still haven't heard about price yet, but who cares right?